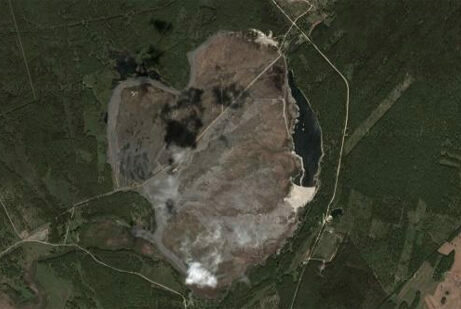 Most polluted lake in the world, used as a radioactive dumping ground for years. 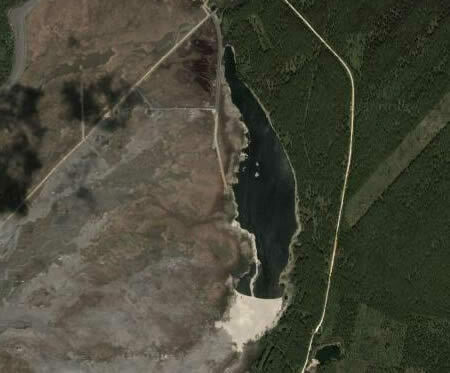 Lake Karachay (Karachai) is a small lake in the southern Ural mountains of Russia that, between 1951 and 1953, was used as a dumping site for the radioactive waste from the nearby Chelyabinsk-65, a nuclear waste storage and reprocessing plant. Siberian ghost town built by gulag prisoners. A report from the Washington, D.C.-based Worldwatch Institute ranked the lake as the most polluted spot on the planet. The level of radioactivity has been measured at 4.44 exabecquerels (EBq), almost comparable to the entire level distributed across a much larger area by the Chernobyl disaster. According to the Natural Resources Defense Council, the lake is so polluted that its waters will kill a human within an hour. The lake started to dry up in the 1960s and a 1968 drought combined with a strong wind carried radioactive dust away from the area, irradiating half a million people with levels similar to being in Hiroshima during the dropping of the atomic bomb. As a result, the lake was filled with 10,000 hollow concrete blocks between 1978 and 1986 that are meant to keep sediment from shifting. While it is not yet known if the area is possible to clean, some fear that the radiation could eventually contaminate the Tetscha river and then the Atlantic Ocean. The whole lake, including the neighboring city and plant is completely shut off from the outside world. The only legal way to get in is to go through a checkpoint. Mostly underground in the old days Back in the USSR, today the Beatles beckon to tourists from a wall sculpture out in the open in central Russia. An enormous, 30-story-deep hole in the middle of Guatemala City.